You are a computer teacher and have been told the lab will be unavailable for a week of testing. What do you do? 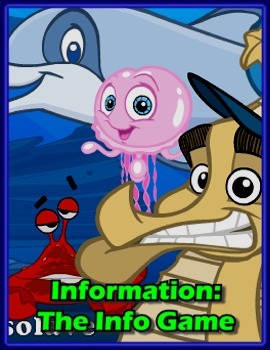 Buy Computerless Computer Lab Trading Cards and relax! Included is a set of 54 trading cards highlighting computer hardware & accessories, software types and web page design. These trading cards can be printed on card stock, laminated, and trimmed to produce a set of playing cards. 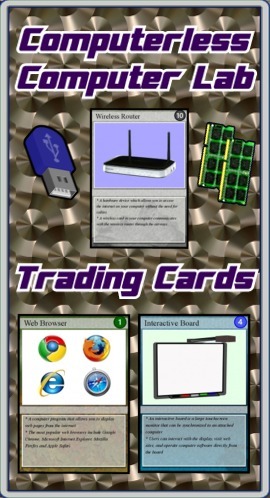 Also included are the documents Educational Trading Card Games & Creating Educational Trading Cards. The graphics were great and my students loved the game! This is great to keep on hand for when the system is down! 1) Children understand that their emotions can be a powerful tool to help them assess unsafe situations. 2) Children can identify some of the physical sensations that alert us to unsafe situations. Computerless Computer Lab Bingo & Slideshow is a perfect solution when you get booted from the lab during online testing seasons. 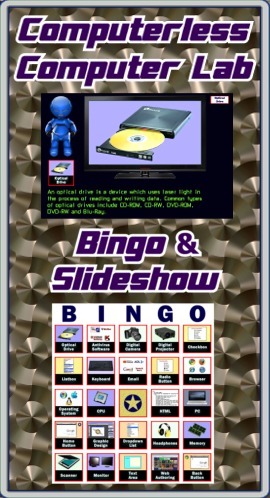 Grab a laptop and a projector to play bingo using computer terms instead of numbers. A talking robot calls out the facts while displaying illustrations. The slideshow allows you to highlight 48 computer components, software types and internet terminology. As a bonus I’ve included the manual Text-to-Speech which teaches you how to make your PowerPoints talk. Just found out I'm getting new computers (yay!) but they won't be in before school starts (boo!) which means I'll be teaching without computers for a couple of weeks. This is a life saver!